Once you have made the all-important decision to go ahead and order your new kitchen, the next challenge is to smoothly navigate the installation phase. 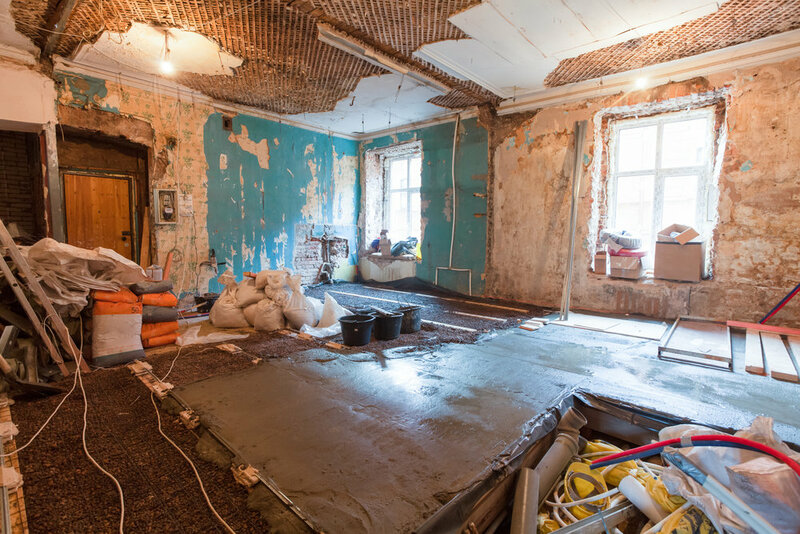 At Contour do our upmost to make this process as pain-free as possible and here are our top 5 tips for staying sane once your existing kitchen has been removed. 1. If you don't have the luxury of a utility room, then set up a temporary kitchen somewhere away from the messy areas of the house. This could be as simple as putting a table up in the lounge or a bedroom with some basic items such as a kettle, cool box, bin and microwave. If possible borrow a mini fridge or look on sites such as freecycle for a temporary one. Unless you are happy to wash up in the bathroom consider buying disposable plates, bowls and cutlery. It's only for a limited period and it is considerably easier to throw things away when you are without a dishwasher or a sink. 2. Don't try and keep your house as pristine as it would normally be. Dust it is part and parcel of renovating a property. Buy some disposable antiseptic wipes to keep on top of things if you feel the need, but remember it is for a short period of time and once your new kitchen is installed, memories of the mess will soon fade. 3. Tradespeople can't do their job properly without making some mess and noise. You may find this disconcerting and feel your home is being taken over by strangers! If this is the case then try to leave the house when you can. Having said that it is vital to strike a balance between how much time you spend on site and how much you leave fitters to it. Why not agree a set time for a daily site meeting so everyone can stay up to speed with progress. There may be decisions to make such as positioning of electrical switches or worktop joins. If you can be on-site to discuss things with your fitter, you will avoid any nasty surprises, potential stress or conflict. 4. Keep the doors shut. Dust sneaks in through any crevice so consider taping up doorways to rooms you don't need to access during the work. It may be worth investing in a zip doorway protector but remember tradespeople will need access to their van's throughout the day. Cover entrance hall carpet with sticky plastic carpet film. It is easier to clean than dust sheets, not as much of a trip hazard and well worth the expense. 5. Treat yourself to the odd meal out. It is a great excuse to have a break from home cooking and discover a restaurant you have always wanted to try. Once your kitchen is installed you will be raring to get to grips with your new appliances so indulge yourself whilst you can. Friends or relatives are usually very accommodating in these situations and thankfully we live in the age of microwave meals. Some time spent meal planning will be time well spent as it isn't always easy to think of different dishes that can be microwaved. The key to staying sane is to keep your eye on the end goal - your dream kitchen and remember that the mess will end and order will be restored.